Joann S. Lublin is management news editor for The Wall Street Journal. She writes about such issues as executive pay, corporate governance and CEO succession. “Your Executive Career,” her advice column, appears monthly. In 2003, she was part of a Journal team awarded the Pulitzer Prize for stories about corporate scandals. 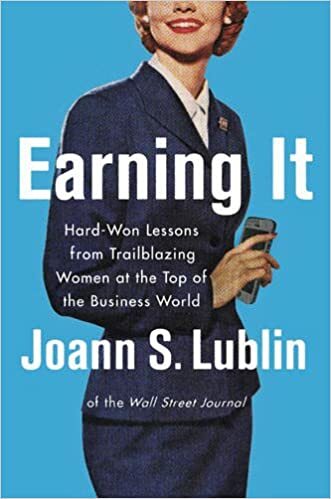 Ms. Lublin is the author of a forthcoming book called “Earning it: Hard-Won Lessons from Trailblazing Women at the Top of the Business World.” It describes leadership lessons from 52 high-level female corporate executives, based on career obstacles they overcame. Nearly two-thirds of the women interviewed are experienced public company CEOs. 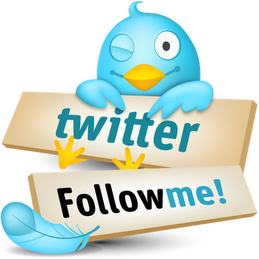 Stephen Greenspan, PhD has a doctorate in developmental psychology from the University of Rochester and a post-doctoral certificate from UCLA’s Neuropsychiatric Institute. He is Professor Emeritus in Educational Psychology at the University of Connecticut and currently lives in Colorado, where until recently he served as a visiting faculty in psychiatry at the U of Colorado medical school. He has long had an interest in social competence, especially in vulnerable populations. In December 2008 his book “Annals of Gullibility” (the first comprehensive book on the topic) was published. A few days later, he learned he had lost a chunk of his retirement funds when a so-called “feeder” hedge fund was wiped out in the Bernard Madoff Ponzi scheme. A few weeks later he published a lengthy featured essay in the Wall Street in which he used his theoretical model of gullibility with himself as a case example, to explain why smart people–even an expert on gullibility–can be tricked by a skilled manipulator. That essay went somewhat viral and was (and continues to be) interviewed on TV, radio and news stories around the world. He also serves as an expert witness in both criminal and civil cases around the US where gullibility may be a factor. Great ready to hear about developing good financial habits, learning about money management, and ultimately why we can no longer as a society act as if financial literacy doesn’t matter. Jonathan Clements is a financial writer based just outside New York City. He’s the author of the award-winning Jonathan Clements Money Guide and a new book, How to Think About Money. Jonathan also sits on the board of Creative Planning, one of the country’s largest independent financial advisors. You can keep tabs on his writings by checking this site occasionally, liking his Facebook page or following him on Twitter. He puts out a free newsletter every few months. Jonathan spent almost 20 years at The Wall Street Journal, where he was the newspaper’s personal-finance columnist. Between October 1994 and April 2008, he wrote 1,009 columns for the Journal and for The Wall Street Journal Sunday. He then worked for six years at Citigroup, where he was Director of Financial Education for Citi Personal Wealth Management, before returning to the Journal for an additional 15-month stint as a columnist. 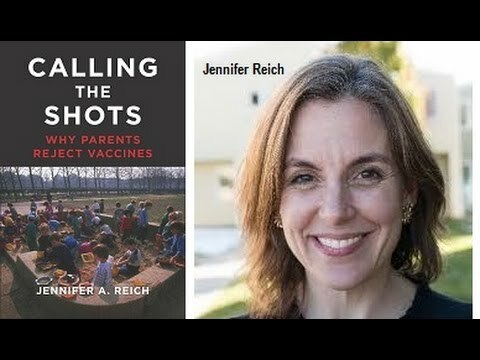 Sociologist Jennifer A. Reich spent over a decade studying the phenomenon of vaccine refusal and interviewing everyone involved, from the of parents who distrust vaccines and the corporations that make them, to the health providers and policy makers who see them as essential to ensuring community health. Without choosing a side in the vaccination debate, Reich examines how parents who choose not to vaccinate see their decision: what they fear, what they hope to control and what they believe is in their child’s best interest. Based on interviews with parents who fully reject vaccines as well as those that believe in “slow vax,” or altering the recommended number and length in between vaccinations, Reich gives a fascinating account of these parents’ point of view. Placing these stories in dialogue with those of pediatricians who see the devastation vaccine-preventable diseases can cause and the policy makers who aim to create healthy communities, Calling the Shots offers a unique opportunity to understand the points of disagreement on what is best for children, communities, and public health and the opportunities to bridge these differences.